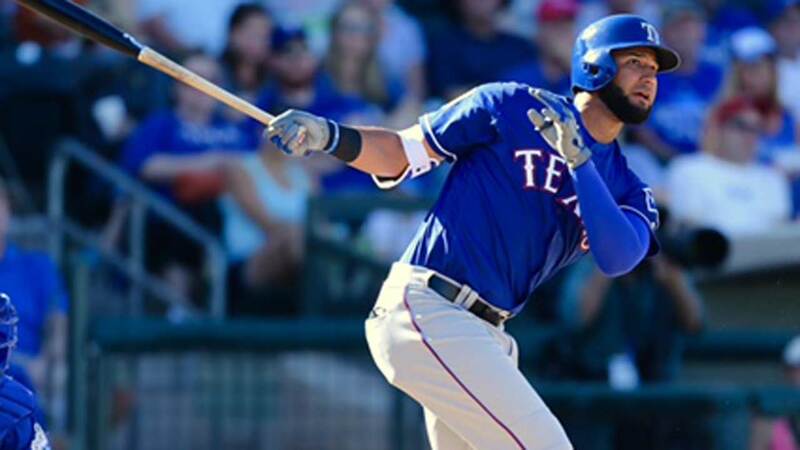 On Tuesday in Arlington, Rougned Odor will have his appeal hearing according to mlb.com’s Jon Morosi. 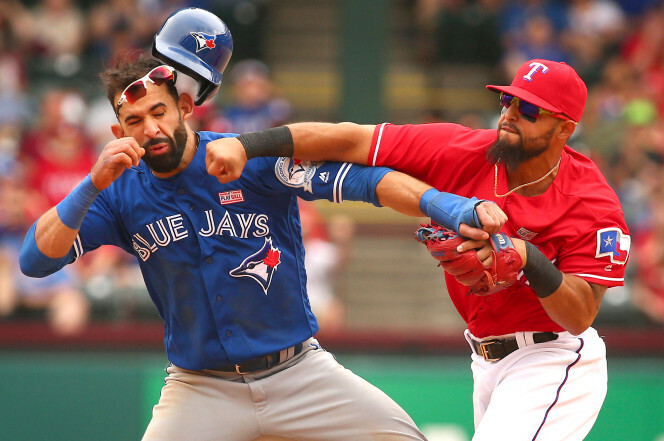 Odor’s case will be heard by MLB vice president John McHale Jr. While it is well within his right to appeal and I do not think he is the only one at fault here. I can not wait for this to be all over. History has shown that the appeal does reduce the suspension so we shall see. Me: I know I just got done telling you I was not in Frisco. Before a large wooden cane with a hook comes out from the stage, lets talk about Yu Darvish of yeah that Yu. 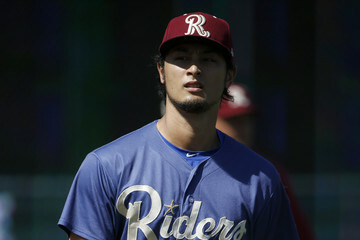 Darvish threw six scoreless innings and the Texas Rangers Double A affiliate, Frisco. He threw 87 pitches and allowed 3 hits and had 6 SO. This was his 5th rehab assignment and now it is time to see if this horse can run. He will join the team on Saturday when the Rangers take on the Pirates. PS I will also not quit my day job to tell jokes. 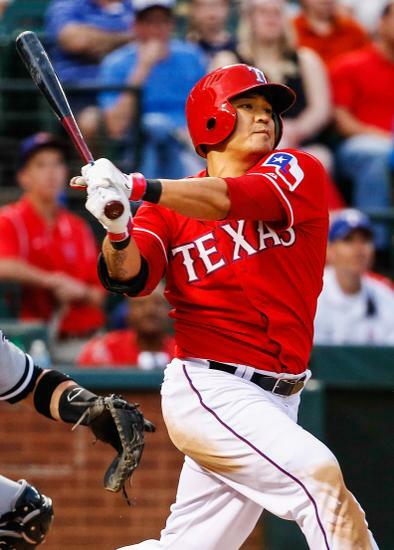 Shin Soo-Choo came back to the Rangers on May the 20th and is now having some tightness in his hamstring after recovering from a Grade 1 strain to the calf. He left the game and was not in the rest of the series with Houston. We shall see how it goes. Here is hoping for the best. Speaking of the best How about that sweep of Houston! After a sweep from the Oakland A’s the Rangers need some check marks in the Win Column and did they get it on Saturday for sure, after the first two games were close 2 to 1 victories, Sunday’s battle was supposed to be just as close, Hamels vs Keuchel. Cole Hamels went 8 innings allowing only 5 hits and 2 runs and had 11 SO. The Ranger bats woke up and Ranger’s catcher Bobby Wilson he is the one who got the party started so to say with a double in the 3rd and the Rangers just did small punches off of Dallas Keuchel, a bunch of singles and doubles to make it 7 to 1 and then in the bottom of the 6th Evan Gattis hits a home run but it would be matched later at the Top of the 7th by the MarZelous Normar Mazara, who homers and makes it 9 to 2. That’s the game and the sweep of the Houston Astros. 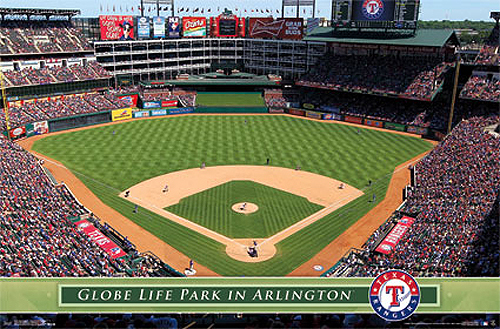 I would like to end on a more serious note, as you may have seen, the building known to many as Globe Life but to me will always be called “The Ballpark in Arlington” is being replaced by a new retractable roof stadium, figures are around a billion. Now it has to pass a city council vote and a general election vote to become a reality but the fact is that the city of Dallas wants the Rangers so if it doesn’t pass, the Rangers would leave Arlington. Lets look at the facts 5 important facts. Fact two: It will have a retractable roof, Texas heat in the summer can be brutal. Fact three: It will be smaller stadium, holding only between 42,000 and 44, 000 instead of 48,000. this makes it more profitable. Fact four: It will be located closer the At&t Stadium where the Cowboys play. Creating a sports complex. Fact five: It will open by April 2021. Owner Ray Davis wants it sooner than the Globe life lease which is up in 2024. I know all the facts, and I know all the reasons. Knowing doesn’t make it any easier, The Ballpark in Arlington is home to me, a wonderful place where I handed out promotions, a beautiful ballfield where I fell in love with ball players and the game of baseball all at once. Its the place that even now It catches my breath with its beauty and majesty. Your reasons may be valid and even better, but if you don’t mind, I am going to morn the loss of a wonderful friend who has brought me countless memories.